Myatt’s Fields Park, Cormont Road, London SE5 9RA. Hot days in June and July so a walk around the park with lunch is our choice of how to keep cool. 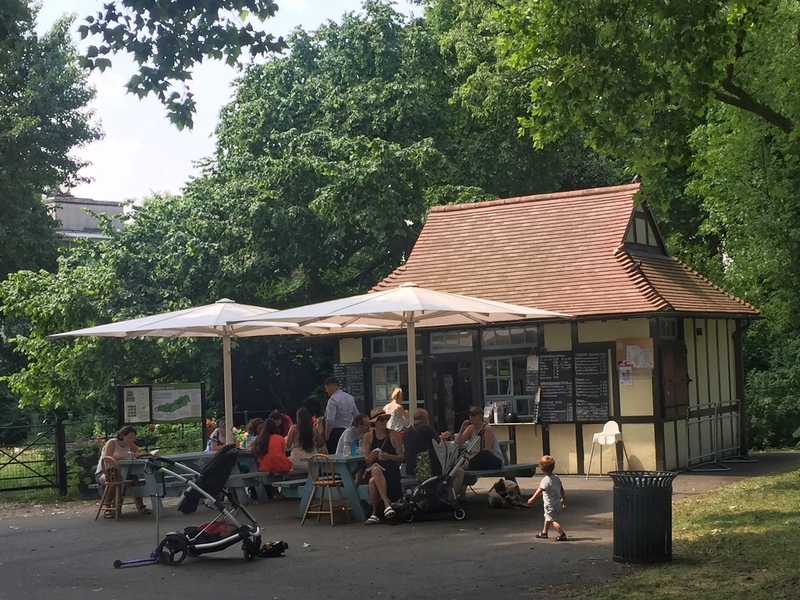 A good choice is Myatt’s Fields – voted one of Britain’s top ten parks. For those who are more energetic there is a football pitch and a tennis court. This park will not provide much of your 10,000 steps a day unless you go round a couple of times but that just adds to its charm. The cafe has tables and benches outside with sunshades, high chairs and when we were there a makeshift paddling pool. 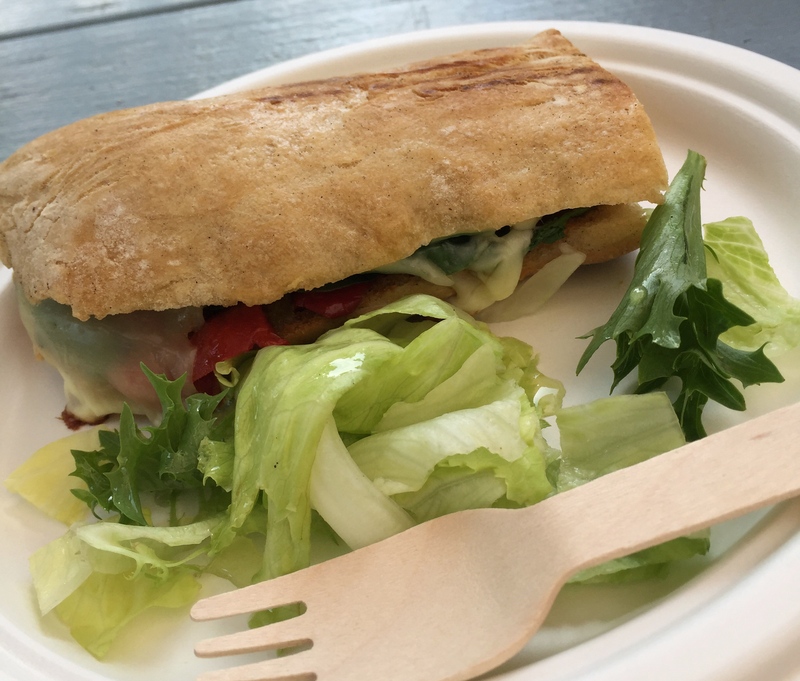 The menu is short – pizzas, panini, chips and some breakfast dishes. 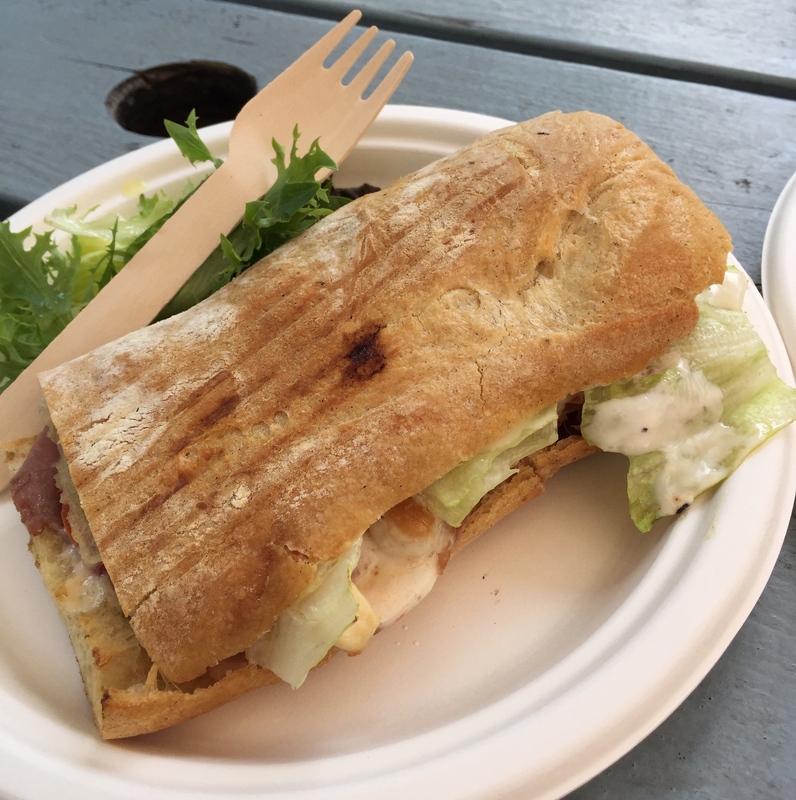 We chose two paninis – a veggie one with roast pepper and cheese and a caesar salad (salad, chicken with a rasher of bacon through the middle. The panninis will be really hot when they arrive on your plate so be careful. They were both fine and value for money. 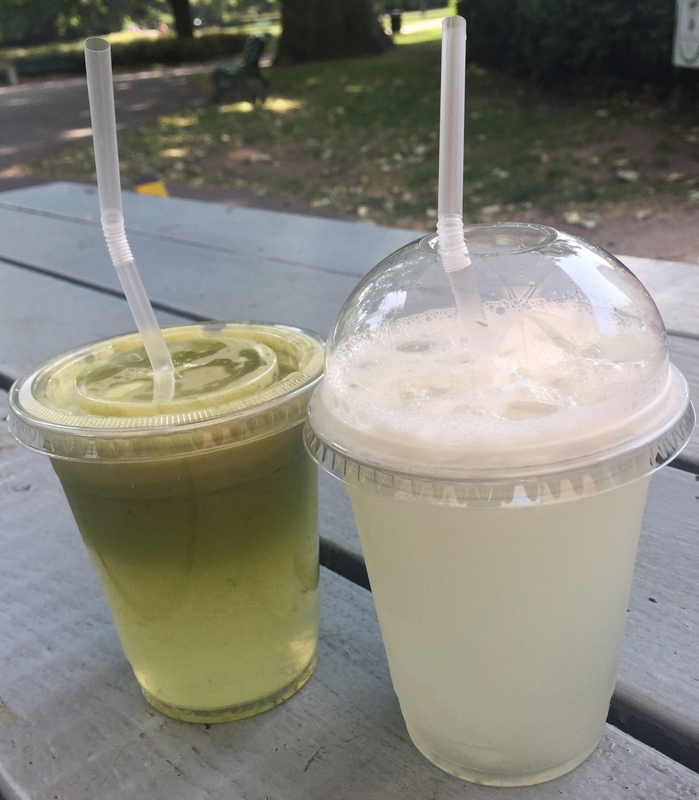 We washed them down with homemade lemonade and a cucumber, mint and lemon smoothie. Both were really refreshing on what was a very hot day. This is clearly a community resource as on the next table there was a makeshift party with a lovely pink and white cake for grownups. This is a great lunchtime destination for people watching and sitting in the shade.